Spring Summer 2016 is teaching the world how to do everyday maximalism and with sequins, metallics and psychedelic graphics in 60s inspired prints London proved it was leading the way. 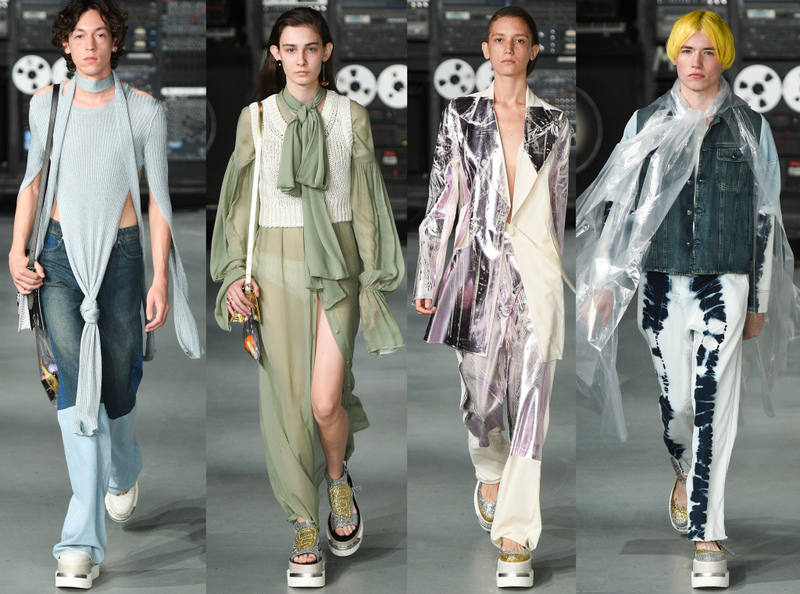 You may have seen the maximalism trends on the runway for years and recently spotlighted with confetti crowd, however this SS16 is all about making it wearable and luxurious. 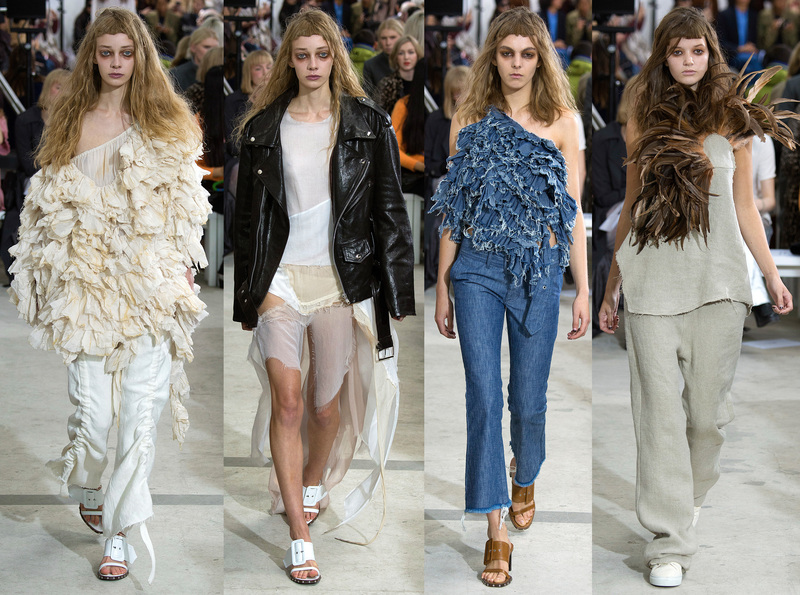 Marques Almeida‘s extravagant ruffles, feathers and bridal-esque fabrics were toned down with raw edges, oversized leather jackets, denim and wonky fringes; the uniformly moody eye makeup finished it all off. Ashish, a collection that was inspired by how a scattering of sequins looked on a work bench in their studio, did not disappoint with nostalgic glittery embellishments and anatomical embroideries. I predict this will be endlessly inspiring next summer’s festival fashion, and beauty with those sequinned partings. MM6 Maison Martin Margiela. Everything was slightly oversized as usual with block platform shoes and sleeves tailored to drown model’s arms. MM6 taught us that this year’s maximalism is all about the cut and shape. blogging on thisischichi.co.uk since Jan 2012! This entry was posted in Events/ News, Runway/ Designers and tagged ashish, confetti crowd, designers, fashion week, festival fashion, glitter, LFW, london fashion week, maison martin margiela, marques almeida, maximalism, minimalism, MM6, ruffles, Runway, sequins, spring summer 2016, spring summer collections, ss16, Trends. Bookmark the permalink.